Have you ever given up on purchasing a product because you don't live in Japan? We will deliver that one and only product to you no matter where you live. Receive an address in Japan! From the free registration, to receiving your item, and everything in between. Receive an address in Japan by registering for free! Enjoy shopping Japanese products online! 1. It's inexpensive! The EMS cost is all you pay! You can use the “All in One” service to send all of your packages together for no extra charge! By packing your products together, it will keep the EMS cost to a minimum! There are no hidden fees! The EMS cost is all you pay! Compensation will be available if for any reason your product arrives damaged. 2. Send in a shipping request anytime, anywhere. Ever thought sending in a shipping request is too much complication or a hassle? Shipjp won’t cause you any trouble. 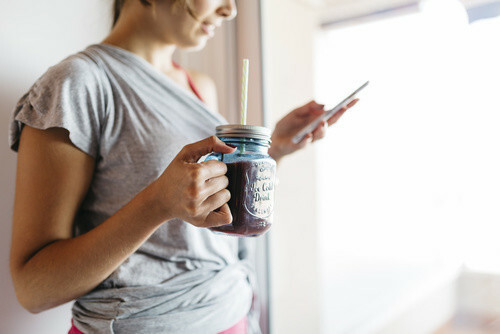 You can send in a request with your computer or smartphone, anytime anywhere. Just a few simple steps, and you’re done. We have friendly staff ready to answer your questions. 3. Your products will be carefully inspected. Have you ever had a disappointing experience where you received an incorrect or an already broken product? At Shipjp, our staff will inspect and check to and make sure your products are ready to be shipped before it reaches your door. is only available in Japan. on your friends and family. at their original retail prices. if the product will be delivered safely. 1-1What is this, identity verification, and what are the procedures? A.Identity verification is for us to make sure your identity matches the information you have provided to Shipjp. It is the law for overseas shipping agencies to verify the customer’s identity before we ship out any packages to their addresses. ■We will be verifying the following information below. 1-2What can be used for the identity verification? A.In most cases, we accept documents that matches the following criteria. ※These documents are accepted for both identity and address verification. ※Please be aware that the address verification is not considered a full identity verification. There are options to attach more than one file. 1-3Am I able to use my company/office address for the address verification? When verifying your address, please submit a document that specifies; your　name, the address of the company, as well as proof that you work at this location through the “My page” pane. Please be sure to also submit your identity document. 1-4I am not able to upload my documents. A.The upload size limit is below. Please double check the file size and type of the file you are attempting to upload. If you are having trouble with this, feel free to e-mail or call us at (310) 383-3917 for help. 1-5Am I able to use Shipjp’s service without verifying my identity? A.We do apologize for the inconvenience, however without identity verification we will not able to offer you our service. Overseas shipping agencies are required to verify the customer’s identity by law. We do apologize for the inconvenience. 1-6Is it possible to use Shipjp’s service without registering? A.In order to use Shipjp’s service, registering a free account is necessary. After registering, we will be able to provide you the address in Japan for you to enjoy your online shopping. A.The information will be sent to Shipjp securely with SSL encryption so no information will be stolen. We also take extra precautions to make sure there are no intrusions. 1-8Am I able to terminate my account? If so how do I do this? A.You can terminate your account at any time. If you are looking to terminate your account, please contact us at info@shipjp.com. Our staff will assist you with your concern as soon as possible. 1-9How do I go about changing my information? A.You can change your information at any time on the “My page” pane. 2-1Am I able to start shopping before my identity verification process is complete? A.In the temporary registration stage, your address can't be saved to MyPage that you won't be able to send your package to us. 2-2What is this address in Japan? Where exactly do I ship my products? A.The address in Japan is an address that Shipjp issues you when you create your account. You are able to use this address as if it is your own address in Japan. Therefore, when you are shopping online, please have your items be shipped to this address. Please be sure to enter in the branch number as well, for this is how Shipjp keeps track of your products. 2-3Am I able to select pay upon delivery when ordering a product? A.We apologize for the inconvenience, however this is not possible. If pay upon delivery, or pay later option is selected, we will not be able to accept your product at Shipjp. If this were to happen, we will be sending the product back to where the product came from. We may have to send you a statement to pay the charge to send the product back, so please do be careful. 2-4Do I have to notify Shipjp after purchasing a product? Once the product arrives we will inspect, weigh, and register the information on the “My page” pane. You’ll be able to see which products have been registered under the “Packages being held” link after logging in to your account. 2-5I purchased a prohibited/restricted product, what should I do? A.There are two options depending on the situation. Please contact the seller and cancel the order, as well as the shipment. Once it reaches Shipjp’s warehouse we will either return the product to the seller’s warehouse or you will have the ability to ship the product out to an address in Japan. We will email you once the prohibited product reaches our warehouse. 2-6I would like to send back a product for repairs to my address in Japan, is this possible? When you are looking to send a product for repair, please notify not only Shipjp but the seller as well. Afterwards, you may send the product to your address in Japan. Once the product reaches Shipjp’s warehouse it will be updated on the “May Page” pane. When it does, please let Shipjp know what needs to be done with the product. 3-1What are your shipping options? A.Currently we only offer EMS (Express Mail Service). 3-2Can my package be sent to any other addresses besides the registered address? A.We do apologize for the inconvenience; however, we can only send the package to the registered user. 3-3I would like to send my packages to different addresses. A.Currently you can only have one registered address. If you would like to send your packages to multiple addresses, please adjust your address under the “My Page” pane before the shipping process. 3-4What kind of products are considered prohibited products? A.This list; which is used worldwide, contains the type of products that cannot be sent overseas. If you would like more information, please contact Customs in your country. 3-5Am I able to send other products besides the ones I purchase from online stores? A.Yes, you can send other products besides the ones you purchased from the online stores. 3-6Are there limits to the weight or the size of a product? A.Yes, unfortunately there are limits to the size and the weight of a product. The limit varies per country. For example; for the United States, the limit is 66.1lbs(30kg) for the weight, and 4.9 feet(1.5m) by 9feet(2.75m) for size. Please contact to your local Customs for more detail. 3-7How long can I leave my package at my shopping address? A.Your package will be kept free of charge within 30 days from the arrival date. After 30 days, you will be charged 50 yen per day. 3-8What is the maximum value of the package that I can send? A.The maximum value is 2,000,000 Yen. However, if the value of the package is more than 200,000 Japanese Yen, the package will go through extra customs clearance. This can cause the package to be held at customs for about a week. Please also be aware that this may cause extra taxes when importing. 3-9Is it possible to send the package to an address in Japan? 3-10Is changing the shipping method possible? A.We do apologize, however EMS is the only shipping method available. We do appreciate your understanding. 3-11Why is my package held in Customs? A.Your package could be held for one reason or another. We do apologize for the inconvenience, however please contact the Customs department directly. 3-12How long does it take after my package arrives address? Notification email will be sent within 1 business day. This will also be updated under the “My Page” pane. Shipping arrangements will be done within 2 business days. Delivery may vary on Country. As an example, the package is expected to reach the United States in approximately 3 days. Once the package leaves the shopping address, a tracking number will be provided. 3-13The package is being sent back to the sender. 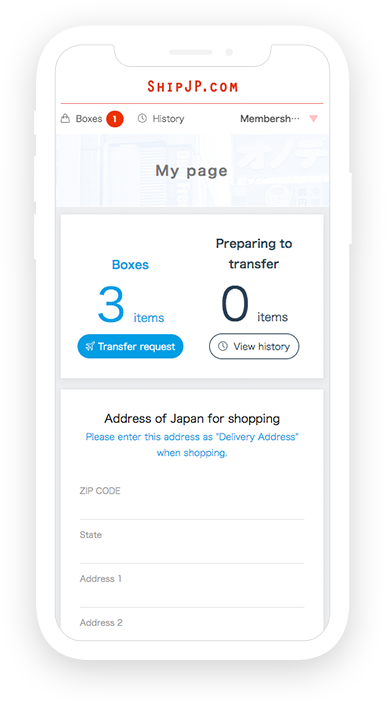 A.Refusing a delivery, exceeding the holding period, or trying to send a prohibited item may cause the package to be sent back to Shipjp. If this is the case, a notification will be sent via email. 3-14What is the compensation/insurance policy? A.It is up to 2,000,000 Yen. Compensation will be available for any package declared over 20,000 Yen without any insurance. For packages declared to be over 20,000 yen, there will be an extra charge of 50 Yen per 20,000 yen as insurance. Example: A package that is declared to be 60,000 Yen, the insurance will be 100 Yen. 3-15The address that I provided was incorrect, and it is being held at the post office. A.We will send a dispatch note. Please go to the post office where your package is being held. 4-1Is it less expensive to have my products packaged together? A.In most cases, it will be more beneficial to package all the products together. Example: The price for 2 products accumulating to 1kg(2.2lbs) would be about 5800 Yen. The price for 1 product at 2kg(4.4lbs) would be about 4500 Yen. However, please keep in mind that the shape or condition could cause the weight to be heavier. 4-2How much does it cost to package my products together? 4-3Would the request for packaging the products together ever be rejected? A.It will not be rejected as long as the weight of the products do not go over 30kg(66.1lbs). However, there may be cases where a certain product will not be packaged together due to the dimensions of the product. If this is the case, the product will be shown separately on the list of products. We do apologize for the inconvenience. Please also be aware, that once you place the packaging request, you cannot cancel or add any other products. 4-4How long does it take for all the products to be packaged together? A.We will start packing the next business day. In most cases this process takes about 1 to 2 business days. If we are currently still in the process, “Processing products” will be shown under the “My Page” pane. Once we are done, you will receive an email stating we are done packing your products. You can always check the status under the “My Page” pane. 4-5Are there products that cannot be packed together? A.Yes, please refer to the list below. - Products that seem dangerous to pack together. If there are other products besides these products, we will send you an email stating which products cannot be packed together. 4-6Is there a limit to how many products can be packaged together? However, there is a limit to the weight and size depending on the country. For questions, please contact your country’s Customs. 4-7Is it possible to cancel or add any additional packages once I place in a request? A.We do not allow any additional packages, nor cancelations after the request. Please check the products you have selected before sending in a request. 4-8Is it possible to retrieve a product that has been shipped, and add products to this package? A.No, it is not possible. Once a package has shipped, we are not able to retrieve it. 5-1The package should be at Shipjp’s warehouse; however, it is not reflecting on the “My Page” pane. A.Once the package arrives to the warehouse, the packaged will be inspected and weighed. The package will show up on the “My Page” pane after we register the product. Due to this process, it may take about 1 to 2 business days for the package to show up on the “My Page” pane. If it does not reflect the “My Page” after 2 business days, please notify customer service with the information of the package as well as the tracking number. The following reasons can also delay the process; the package does not have your name listed, the package does not have your customer specific number, or you have purchased a prohibited product. 5-2It has been over a week after the package has been shipped from Shipjp, what should I do? ①Customs are waiting for you to pay extra taxes. ②The package returned to the post office, after attempting a delivery. ※Please be aware that there have been cases where packages are sent back to Japan without any notices left from the post offices. ①Please notify Shipjp’s customer service regarding the situation. ②Shipjp will send an invoice or a delivery notice. ③Taking your delivery notice or invoice and your ID please head to the post office. ④Please follow the procedures at the post office. 5-3What needs to be done if no one was present when the delivery was attempted? A.Most cases, the post office will leave a notice stating that no one was available to receive the package. Please follow the notice and either contact the post office, or have the package redelivered. The package will be sent back to the sender if the package is not claimed. Please do claim the package as soon as possible, for there is a timeframe to claim packages. 5-4What if the package is damaged? A.If the package is damaged, please follow the steps below. ②Take a picture of the damaged product and the box. ③Visit your local post office, taking the picture (from step 2), the box, as well as the invoice. ⑤After receiving the Damage Report, please contact Shipjp’s customer service. Please be sure to attach the pictures from step 2 as well as the Damage Report. 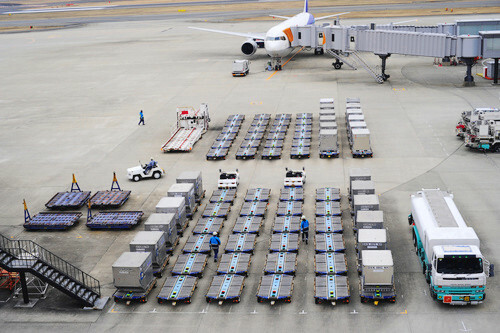 ⑥Shipjp well send Japan Postal Service a compensation request. ⑦Japan Postal Service will send the compensation for the actual loss or damage. 5-5The post office is not providing the Damage Report (CN24). If the Damage Report is not available, a different form is also acceptable. Please receive a notice from the post office stating that the package was damaged. 5-6There are Identification Verification documents in the package. A.The first package will include the Identification Verification documents. The Identification Verification step is completed after you receive the documents. 5-7There are some products missing, what should be done? A.Please contact ShipJP.com for more information. The package will be left as how it was delivered including a sales slip. 5-8Will I be notified when the package is being delivered? A.This varies depends on the country. Most cases, you will receive a notice stating you were not available. 6-1Will Shipjp notify me if I receive catalogs or direct mail from the sellers? A.Unfortunately, Shipjp will not be able to inform the client regarding any catalogs or direct mail that comes in the mail. If there is something you would like to receive please notify customer support. We will take the same procedures as a normal product. 6-2The compensation is taking longer than expected, is it possible for it to be processed sooner? A.The Japanese Postal Service is currently investigating the case. We will notify you once there is more information regarding the case. 6-3Do you charge any storage fee? A.YES, after a free 30 days, each additional day will cost 50 yen. The longest we will store merchandise is 120 days. After 120 days, we will have to dispose of your goods.